specializing in serving his patients with GREAT Results! I would never have thought that I would enjoy going to the dentist! My comfort and well-being was the top priority of the entire staff. Throughout a complicated dental procedure Dr. Korenman made sure that I was pain-free the entire time AND checked in on me later that evening to be sure I remained comfortable and without pain. Loveable Smiles has created a new high standard in delivering quality patient care and attention. 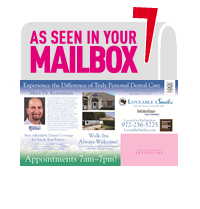 Dr. Korenman, I appreciated the time and explanation you gave to me last Thursday regarding putting the post in my front tooth and replacing the crown. I’ve never had a dentist explain things as thoroughly as you. It’s likely you hear that comment often. I, of course, like the photos and the imaging which I assume cause less radiation. I trust you fully and look forward to seeing you for my appointment next month. Thank you! I am so happy with my Invisalign. My teeth were so badly aligned that an oral surgeon wanted to do surgery and resect my gum in 3 sections. I opted not to do that and I so glad I didn’t! The Invisalign aligners completely corrected my problem in only 7 1/2 months. My teeth are now perfectly aligned and I couldn’t be happier! After years of staining and stains form braces, I felt my smile was not as white as it should have been. Whitening my teeth has made an ENORMOUS improvement and has given me just another reason to show off my smile! Thank you Dr. Korenman! Hi Dr. Korenman, I wanted to let you know you were right – my teeth and gums are feeling great today and my jaw is feeling better. I talked with clients and hollered at staff all day and feel just great! Thanks for taking the time to check in with me yesterday. As always, everyone made me feel right at home. Chessa listened to my needs and did a wonderful job cleaning my teeth! First class operation, friendly, professional and competent. Glad I found this office! Dr. Korenman – I really appreciate your caring attitude and the time you take to explain and answer questions. You are the best! It was the first time I’ve ever enjoyed a visit to the Dentist! Thank you for your commitment to your patient’s needs and good dental health. I am in gratitude for your service and kindness. Greetings Dr. Korenman, hello and good morning! Hope your day is off to a good and positive start. Thank you much for your message/inquiry about my previous appointment. Also, I appreciated even more the call from you that evening asking how I was doing. There was a slight bit of sensitivity this morning but MUCH less than before. I think your work on my two front teeth did the trick. I will keep you posted. May you and your team be blessed with a great day. I had broken my front tooth during my 1st pregnancy. It stayed that way for 3 years. I found Dr. Korenman and Loveable Smiles and he fixed my smile with Lumineers. At first I was very unsure of the results but after a few days I was falling in love with my “new” smile! Today I love it and would do it all over again! Thank you Dr. Korenman and the great team at Loveablesmiles for helping me re-establish my self-esteem and my “loveable” smile! I just wanted to thank you and let you know just how much I really love my new teeth. I would have never believed that you could have changed my smile and bite so dramatically. It is so much easier to speak and to eat that it has literally improved the quality of my life. I have had several compliments on the look of the teeth, that they look so real and fit my mouth so much better than the crowns I had before. I would also like to include how wonderful and helpful your staff is. They made my visits to your office very pleasant and comfortable. I especially liked the doctor’s follow-up call the night I had a procedure to see how I was doing. What a nice, caring touch! I had not been to the dentist in several years and was placed at ease from the moment I walked in the door. The staff is friendly and is very skilled in making a person feel more comfortable. I was very happy with the results of the work that was done and the comfort level that went with it. Thanks. Outstanding performance on all counts, as always. I now look “forward” to going to my dentist office rather than “dreading” it. Thanks to you and your invaluable staff. I just wanted to thank you SO MUCH for taking such good care of me so quickly and so PAINLESSLY! My teeth feel great, look terrific and I am looking forward to my cleaning in September! I wanted to tell you and everyone at Loveable Smiles thank you so much for making our visit this morning such a pleasant one. You all were so patient, kind and comforting, which made Hannah's procedure all the more bearable. Dr. Korenman was so sweet and truly a blessing to meet. Hannah is doing so well and napping peacefully! Thank you all again, from the bottom of my heart, for a truly blessed experience. You all were an answer to our prayers! By far the best dental experience I've ever had! The staff is friendly and warm, the doctors are extremely knowledgeable and explain everything you need to know step by step. They have top of the line equipment and techniques and are definitely worth investing in!